What does access to justice mean, and do you think anyone should be able to take their case to the Supreme Court of Canada? Or, should the Supreme Court choose the cases it hears and, if so, how should those decisions be made? Professor Jamie Cameron has been a full-time member of the faculty at Osgoode Hall Law School since 1984. Professor Cameron’s research and teaching interests focus on the Charter of Rights and Freedoms, freedom of expression and the press, the Supreme Court of Canada, criminal law, American constitutional law, and judicial biography. 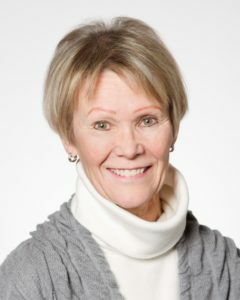 She has argued cases for the Canadian Civil Liberties Association at the Supreme Court of Canada. Professor Cameron was a Vice-President of the Canadian Civil Liberties Association for 20 years, and for 10 years served on the Board of Directors for the BC Civil Liberties Association. She has been on a number of boards over the years. At present, she is a member of the Ontario Review Board, which makes decisions under the Criminal Code about mentally disordered offenders. 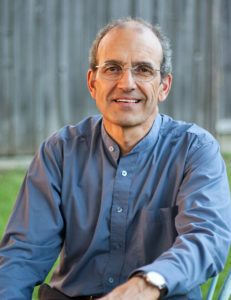 Professor Ted Barris is an award-winning journalist, author, and broadcaster. For more than 40 years, his writing has regularly appeared in the national press – Globe and Mail, National Post, as well as magazines as diverse as Legion, Air Force, esprit de corps, Quill and Quire, and Zoomer. He has also worked as host/contributor for most CBC Radio network programs and on TV Ontario. He is a full-time professor of journalism and broadcasting at Toronto’s Centennial College. Barris is the author of 18 bestselling non-fiction books, including a series on wartime Canada: Juno: Canadians at D-Day, June 6, 1944 … Days of Victory: Canadians Remember 1939-1945 … Behind the Glory: Canada’s Role in the Allied Air War … Deadlock in Korea: Canadians at War, 1950-1953 … Victory at Vimy: Canada Comes of Age, April 9-12, 1917 … Breaking the Silence: Veterans’ Untold Stories from the Great War to Afghanistan. 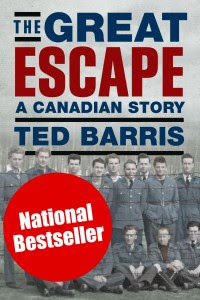 In June 2014, The Great Escape: A Canadian Story won the 2014 Libris Non-Fiction Book of the Year Award (shared with astronaut Chris Hadfield). His writing has also been published in such anthologies as The Canadian Encyclopedia … Total Hockey: The Official NHL Encyclopedia … A History of Maple Leaf Gardens … and a volume of learned papers presented to the Canada-Korea Conference at the U of T. Barris’s remaining books are: Rodeo Cowboys … Spirit of the West … Positive Power (Story of the Edmonton Oilers) … Playing Overtime (A Celebration of Oldtimers’ Hockey) … Carved in Granite (125 Years of Granite Club History) … and Making Music (Profiles from a Century of Canadian Music) co-authored with his father Alex Barris. He was also a contributor to the book 101 Things Canadians Should Know About Canada. Among the awards Ted Barris has received: the international Billboard Radio Documentary Award, the Yorkton Film Festival’s Golden Sheaf, as well as numerous ACTRA nominations. He is an active member of military associations, including the RCAF Association, the Canadian Aviation Historical Society, and the Korea Veterans Association of Canada (he’s an honorary member). He is a patron of the Lucy Maud Montgomery Society supporting that author’s works and memory in his hometown, Uxbridge. In 2010, the town recognized Barris with its annual “Citizen of the Year” honours. In 2006, the 78th Fraser Highlander regiment awarded Barris its Bear Hackle Award to recognize his “contribution to the awareness and preservation of Canadian military history and traditions.” In 2004, the Remembrance Service Association of Halifax recognized Barris and his military history writing with its Patriot Award. In 1993, he received the Canada 125 Medal “for service to Canada and community.” In 2011, the Ontario (116th) Regiment awarded him its annual medallion of excellence for raising the profile of military history in Canada. In 2014, during a speaking tour in the U.S., Ted addressed members of the U.S. Stalag Luft III POW Association, who recognized his work in the Great Escape book with a Certificate of Honor. The original certificate, awarded annually, will be archived in the U.S. Air Force Academy in Colorado. In 2015, Barris released his 18th book Fire Canoe, a Mark Twain-like retelling of 19th steamboat history on Canada’s major western waterways. Set in a time when Mounted Police, fur traders, gold seekers and settlers mixed with aboriginal pilots, stevedores and crew, these first-hand tales depict a frontier Canada rife with speculation, gambling, rebellion and dog-eat-dog steamboat competition in the wild Canadian West. It’s said the coming of steamboats to the Western territories ensured that Canada would stretch from sea to sea. Bev Clark has worked in aquatic science for 40 years, most of these at the Dorset Environmental Science Centre where the effects of multiple stressors on aquatic ecosystems are studied. The Dorset Centre conducts research on the impacts of eutrophication, climate change, acid rain, invasive species and shoreline development on the water quality and aquatic ecosystems of lakes throughout Ontario. In later years he was the coordinator of the Lake Partner Program which has given him first hand experience with hundreds of Ontario Lakes. He was involved with the collection and interpretation of data for many projects involving Ontario’s largest lakes including Lake of the Woods, Lake Nipissing, Lake Simcoe and the Kawartha Lakes. Since retiring from the Ministry of the Environment he continues to consult in aquatic science under his own name in Bracebridge Ontario. Bev is an avid angler, paddler, photographer, writer and artist. He has published extensively in both the peer review and popular literature and has served as the president of the North American Lake Management Society. His goal for the next few years is to shift focus from science to art and spend more time painting and carving. It is not surprising that many of his carvings feature fish while the paintings often have water in them somewhere. 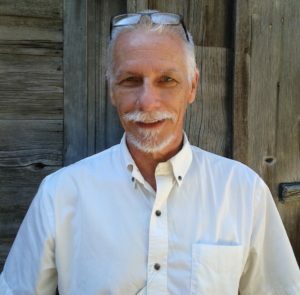 His presentation will discuss interesting facts about the history, ecological function, and management of the Great Lakes over the past 150 years with a few humorous anecdotes added here and there. The presentation will include a few props, some slides, and plenty of informal conversation. There will be time to take the program off the rails a bit and answer more specific questions about the Great Lakes. 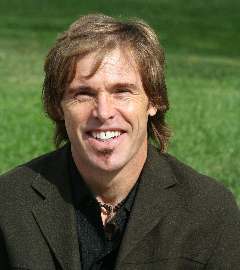 In the course of his international career, Kerry Stratton has conducted orchestras in Europe, North America and Asia. For his services to Czech and Slovak culture, Kerry is the 2000 winner of the Masaryk Award and was decorated by the Czech Government in 2007 at Prague’s Cernin Palace with the Gratis Agit Award. Other honourees included former Secretary of State, Madeline Albright and filmmaker, Milos Formann. Kerry has conducted concert tours for renowned orchestras, such as the George Solti Orchestra, Budapest; the Vienna Concert-Verein, Czech Philharmonic Chamber Orchestra, Orchestra Internazionale d’Italia and, most recently, the Slovak Sinfonietta. For over 20 years, Kerry has established an additional public through his regular radio programs on Classical FM 96.3. Claude Laverdure graduated from the Collège André-Grasset in Montréal in 1961 and from the Université de Montréal (Political Science) in 1965. He joined the Department of Foreign Affairs and International Trade (External Affairs) in 1965 and served in Brussels, Paris and Tunis. From 1986 to 1988, he was Ambassador to Haiti and, from 1989 to 1992, Ambassador to Zaire, with concurrent accreditation to Burundi, Rwanda and the Congo. From 1998 to 2000, he served as Ambassador to Belgium, with concurrent accreditation to Luxembourg; he was also the Prime Minister’s Personal Representative to the Organisation internationale de la Francophonie. From 2003 to 2007, he was Ambassador to France. In Ottawa, he held a number of senior positions, including Departmental Assistant to four Ministers; Federal Coordinator for La Francophonie; Director General of Human Resources; Assistant Deputy Minister, Africa and Middle East, and Assistant Deputy Minister, Europe, Middle East and North Africa. From August 2000 to December 2003, he served at the Privy Council Office as Foreign Policy Advisor to the Prime Minister and as Assistant Secretary to the Cabinet (Foreign and Defence Policy). From September 2002 to December 2003 he also served as the Prime Minister’s Personal Representative for the G8 Summit. 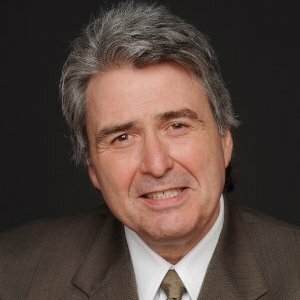 Mr. Laverdure is an Honorary Senior Fellow at the Graduate School of Public and International Affairs of the University of Ottawa. He is Chairman of the Board of the Fondation Collège-André-Grasset, member of the Board of the Canadian Ditchley Foundation, and of the Board of the One Drop Foundation. He is a former member of the Board of the Conference of Defence Association Institute, of the Corporation de la Place de la Francophonie (Vancouver Games of 2010) and of Opera Lyra Ottawa. He is also a member of the Canadian Committee of the House of Canadian Students in Paris (MEC). He is Commandeur de la Légion d’honneur, Chevalier de l’Ordre de la Pléiade and recipient of the Queen Elizabeth II Diamond Jubilee Medal. He is married to Suzanne Bisson. The couple has three children: Christian, Eric (Midori Seki), and Alexandra (Juan Carlos Corazao Gallegos), as well as three granddaughters: Mandela, Maluki and Alesia. Dr. Matthew J. Bellamy is an associate professor of history at Carleton University in Ottawa where he has been the recipient of a number of teaching and book awards. He specializes in Canadian business and economic history. He is the author of Profiting the Crown: Canada’s Polymer Corporation, 1942-1990 and Canada and the Cost of World War II: The International Operations of Canada’s Department of Finance, 1939-1947 (with R. B. Bryce). The former book was the recipient of the 2006 National Business Book Award. His latest research has taken him into the realm of brewing history. His work on brewing has been recently published in The Walrus, Canada’s History Magazine, Legion Magazine, Brewery History, and the Canadian Historical Review. He is also a regular contributor to Taps: The Beer Magazine. Bellamy is currently working on a book-length history of the Labatt’s brewery.